Fort Myers, FL – February 11, 2014 – Attorney, mediator and trainer Keith Grossman, founder and managing partner of Grossman Law & Conflict Management, recently presented “How to Build Your Peace Chest,” which is designed to enhance conflict management and negotiation skills, to a group of business professionals in Naples. 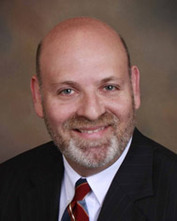 Attorney Keith Grossman of Grossman Law & Conflict Management has over 20 years of experience in and out of the courtroom and focuses his practice on family law, conflict management, and workplace conflict. Keith is a Family Mediator and Civil Mediator certified by the Florida Supreme Court, a Florida Supreme Court Qualified Arbitrator a former Family Law Case Manager for Court Administration, and Past President of the Lee County Bar Association. He also helped to establish and supervise the Lee County Family Case Management Program, a program designed to help families navigate the court system and reduce the conflict typically associated with the divorce process. In the area of employment law and mediation, Grossman’s services include human resources consulting, skills training workshops, facilitation for consensus building, and conflict management design and preventative practices.